The shooting is believed to have been a drug deal gone wrong. The second victim shot by an unknown number of suspects outside Presley’s Nightclub in Boksburg on Tuesday night, has been identified as 28-year-old Khalil Golpi. 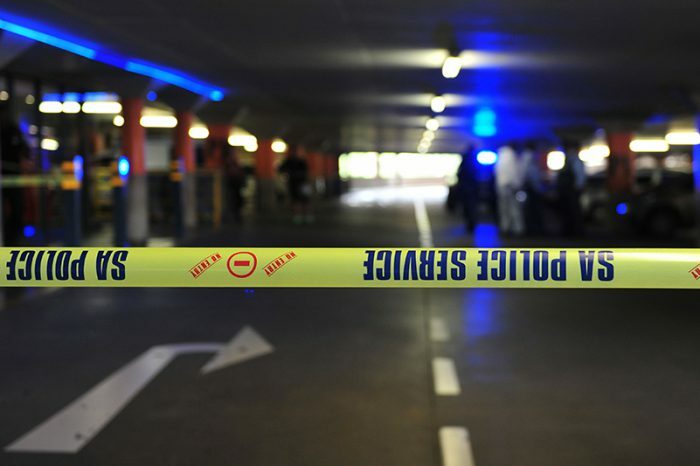 Golpi remains in critical condition following the shooting which left another man, Ziyaad Ali Mohamed — also known as Ziyaad Janoo, dead, Rising Sun Lenasia reported. Janoo gained popularity online after featuring in a 2014 viral video, “Chicky Lamba”, in which he and two other men are seen allegedly kidnapping a man and threatening him with a gun. He and two other suspects were arrested following the emergence of the clip. WARNING: This video contains explicit language and graphic content. Jadoo died after he was shot four times in an alleged drug deal gone wrong. According to ER24 spokesperson Chitra Bodasing paramedics arrived in Field Street and found two men in a vehicle, one of them with multiple gunshot wounds. “We can’t confirm how many suspects were involved. We are investigating the motive behind the shooting. A case of murder and attempted murder is being investigated,” said Police spokesperson Lieutenant-Colonel Lungelo Dlamini. Police have since launched a manhunt for the suspects who were reportedly driving a black Subaru with white rims.